Santa Cruz Acupuncture and EFT | Nancy Lowe, L.Ac. I’m here to serve people who are seeking physical and emotional well being.Sometimes this means working on an acute or chronic condition of injury or illness or it could be resolving emotional trauma that has been holding someone back for years. With the Emotional Freedom Techniques and Chinese Medicine I have effective tools to facilitate your healing. Acupuncture is one of the oldest, most commonly used medical procedures in the world. Originating in China more than 2,000 years ago, acupuncture became widely known in the United States in 1971 when New York Times reporter James Reston wrote about how doctors in Beijing, China, used needles to ease his abdominal pain after surgery. Research shows that acupuncture is beneficial in treating a variety of health conditions. Emotional Freedom Techniques [EFT] is a remarkably simple and effective modality to neutralize emotional stress and rebalance our energy system following emotional trauma. Moxa is the application of heat to an acupuncture point or area of the body. This is warming, vitalizing to circulation and tonifying to the qi and blood. It is very pleasant and relaxing and something that can also be done at home. Cupping is the application via suction of a “cup’ to the affected area. Cupping is most frequently used for muscular pain and stiffness but is also commonly used on the upper back in the case of coughs, colds and wheezing. Ear acupuncture or auricular acupuncture is a highly effective tool for treating everything from musculo-skeletal problems to addiction to internal medicine cases. The ear is a micro-system that reflects the entire body. Herbal medicine is an important part of Chinese Medicine and is invaluable in the treatment of all kinds of conditions. The herbs are taken on a daily basis and provide support between acupuncture treatments. I am doing well, thanks to you. I am managing the arthritis with the help of your acupuncture—-no pills except multivitamins. As for my mind and spirit, I owe you the emotional freedom and my peace of mind. You taught me to enjoy the moment, to realize how lucky I am to have friends and family who love me for who I am. Yes, B.is getting more forgetful all the time, but I am grateful for what he has meant to me throughout our marriage. You have given me the sense of treasuring my life. All disciplines have trained practitioners. More rarely, an intuitively gifted healer will choose to express their gift through the medium of that training. Nancy is such a healer. If you are suffering, beat a path to her door. I have been doing EFT with Dr. Lowe for the past six months. The results have been amazing. It really does work. I had a lot of anxiety & stress in my life & now because of Dr. Lowe & EFT, my life is much more peaceful. I highly recommend EFT. I was experiencing incredible anxiety and wasn't sure the reasons for it. Using EFT with Nancy around the anxiety, amazingly began to dissipate. I have worked with Nancy before using EFT and the results have been wonderful. I have always felt a lot more grounded around the issue in hand if not completely at ease with it. Love EFT! Love this work!! Nancy Lowe's blend of acupuncture and EFT is remarkable! I've connected with a new lightness of being that I'm pretty sure is transforming my life. The sessions are deep, interesting journeys that --no matter how many tears I might shed-- are truly, ultimately, fun. I don't know what the secret serum of EFT is, but Nancy is clearly a gifted teacher as well as healer, and I'm very grateful for this work. Thank you! Nancy Lowe has both a California state acupuncture license and a national license. She began her career in holistic health over 30 years ago with an interest in natural foods and nutrition. She became a certified massage therapist and soon afterward she was enrolled at Five Branches University of Traditional Chinese Medicine. She received her acupuncture license in 1987. She has been a professor at Five Branches University of Traditional Chinese Medicine since 1994. In 2008 after 2 years of rigorous study with many eminent Chinese and American practitioners of Traditional Chinese Medicine [TCM], which included study at Zhejiang University of Chinese Medicine in Hangzhou China; she received her Doctorate of Acupuncture and Oriental Medicine [DAOM]. Nancy continues to study energy and herbal medicine as it applies to the body, mind and spirit. 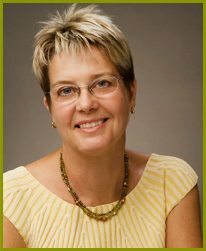 She brings a comprehensive skill set to the treatment room and has the tools to address each patients unique set of health issues from those of the physical body to those of the spirit. I am dedicated to getting the results you’re looking for and I’m confident that by working together, we can do that. I am here to be a facilitator, a resource and a support for you on your journey to achieving your long-term goals for your health and in life. I treat a very broad spectrum of health issues in my practice and I use a number of acupuncture styles to do that. We live in interesting times and we need support on the physical, emotional and spiritual levels. Emotional Freedom Techniques [EFT] and Chinese Medicine are a potent combination to provide that comprehensive support. Over the years I have acquired a lot of tools in my tool bag. I’ve learned numerous ways to approach an acupuncture treatment and having choices gives me more flexibility to tailor the treatment to fit your needs. This is something I love about Chinese Medicine and acupuncture in particular, it never gets boring and each patient is unique.